This is a ring map for my chainmaille PawPrints designs. 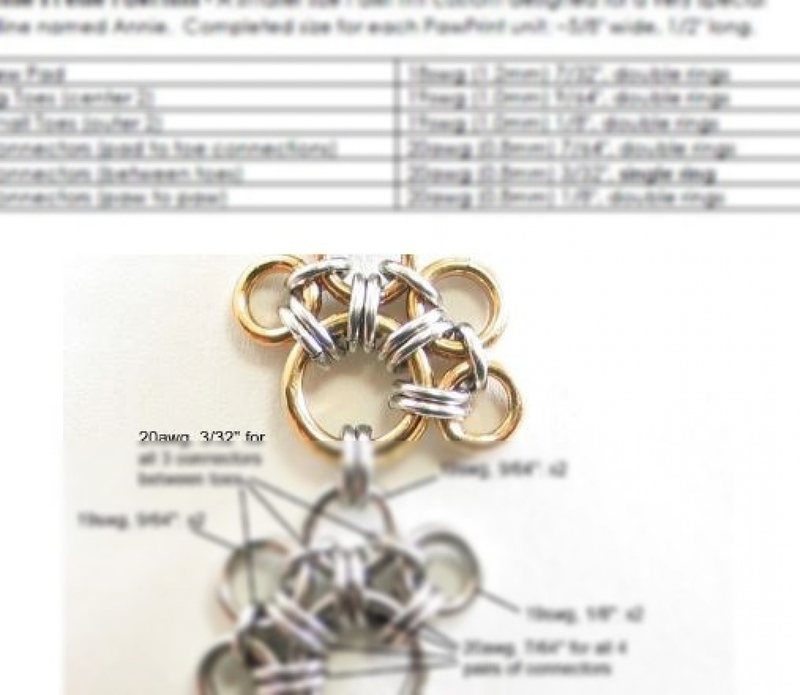 It contains ring size specifications for 4 versions of PawPrints; each version includes the ring sizes needed and the final completed size of each PawPrint. **** Please note this is NOT a step-by-step tutorial. **** Knowledge of Japanese 12-in-2 weave is needed before starting on this map. The ring map is a PDF download. It is accessable from your Account's page, under the "Files" tab. In order for you download after purchasing this document, you will need a user ID. Please be sure you have a user ID with this shop (www.DaisyKreates.com), and use the same ID that purchased the document to access the download. 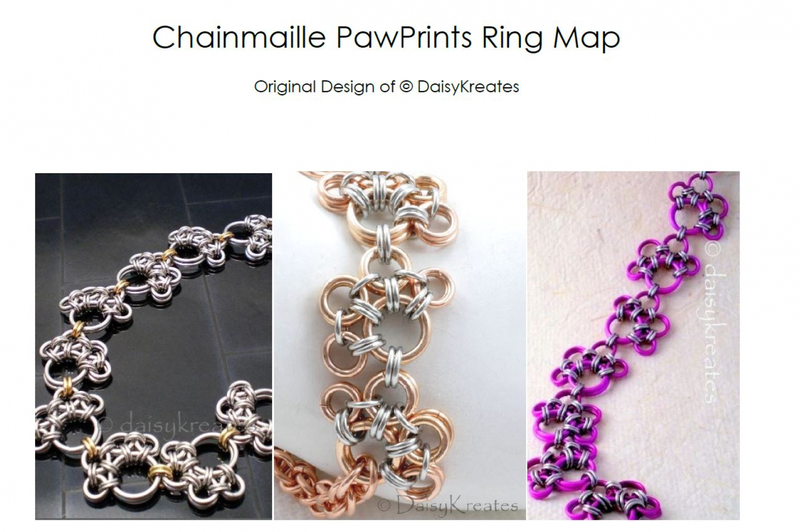 The chainmaille PawPrint pattern is an original design of © DaisyKreates. As a purchaser of this ring map, you are welcome to make and/or sell your own handmade work based on these designs in small quantities; but the content of this document and information contained within remain copyrighted material of the author. Please do not reproduce any part of this document in any form without prior written consent from the author.